On February 28th members from Crimson and from Gold woke up early to travel to Millersville University to compete in this year’s FTC State Competition. Last year I had attended the State Competition and so returning to Millersville brought back some nostalgia. There were quite a few things that were similar to last year’s competition. Teams were arriving into the building with their robots and were hurrying to get them inspected by 10:15 AM. After all, teams that did not complete inspection wouldn’t be allowed to compete. Some members from Crimson and Gold were getting ready for presentations. They had been practicing the night before and during the bus ride. They wanted to make sure that they had their facts right and that everything was perfect. Unlike last year, I wasn’t very involved in the competition. I had been busy with Marketing this year and so I wasn’t able to spend time with Crimson’s robot. Since I wasn’t as involved with the robot there wasn’t much pressure on me. I was able to relax a bit and watch the competition. But that did not mean I was idle the entire day. I had to sport one of our Rock’em Sock’em costumes. Gold member Joan Huang wore the other costume. The last time I wore the costume was when the RoboLancers went to the Philly Science Festival in 2014. I was reminded of how hot being in it was and how tiring it could be to dance for a long period of time. But I was also reminded of how fun it was to interact with other mascots and see people’s reactions to our Rock’em Sock’em robots. 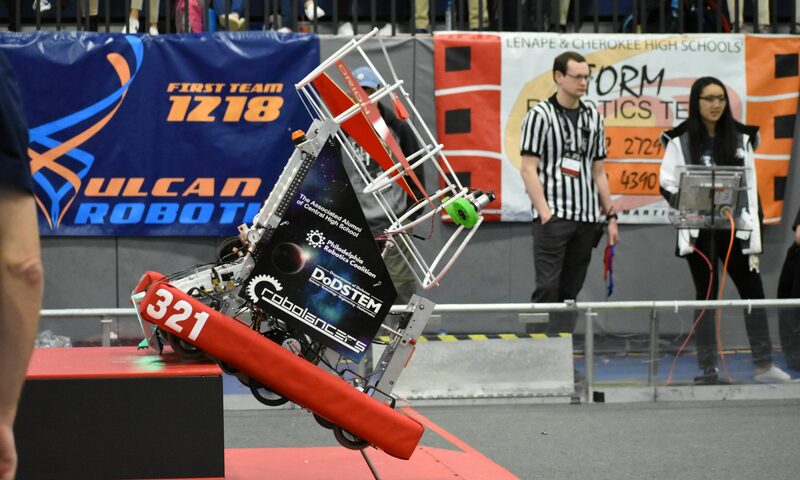 Unfortunately at the end of the competition none of our teams were chosen as alliance partners. We weren’t able to qualify for Super Regionals. However, that did not entirely ruin our mood. Even though it we were upset, we still left the building with our heads held up high. Everyone was proud at what they had accomplished that day. 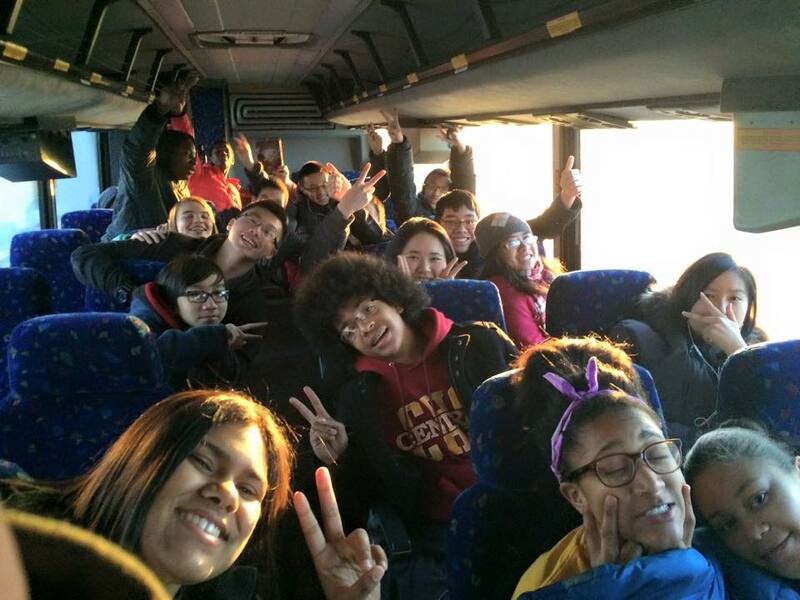 The bus ride back to Central High School was filled with laughter, music, and singing. A variety of tunes ranging from Disney songs to songs from famous pop singers were belted out. The school song was also included in our sing-along. I would like to congratulate both Crimson and Gold for making it to States and all the hard work they have done. The RoboLancers will keep on improving every year and one day we will make it to the very end.